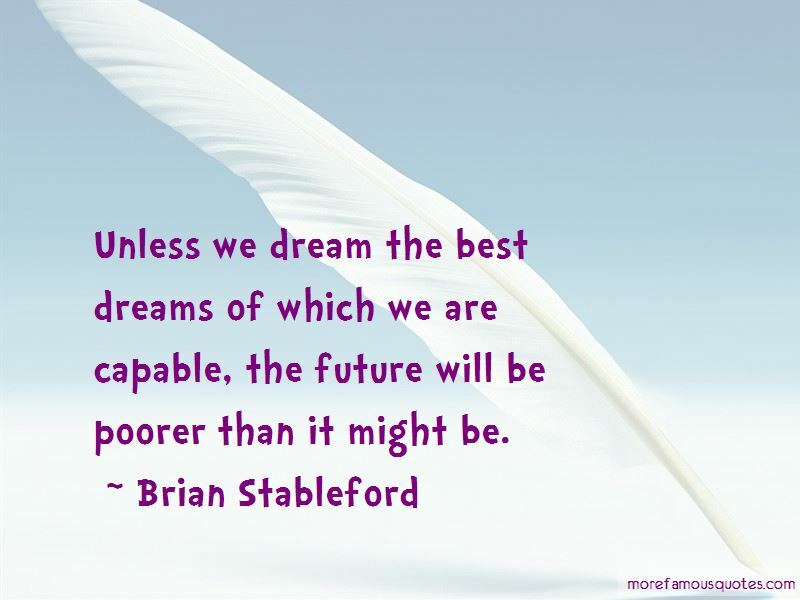 Enjoy the top 7 famous quotes, sayings and quotations by Brian Stableford. 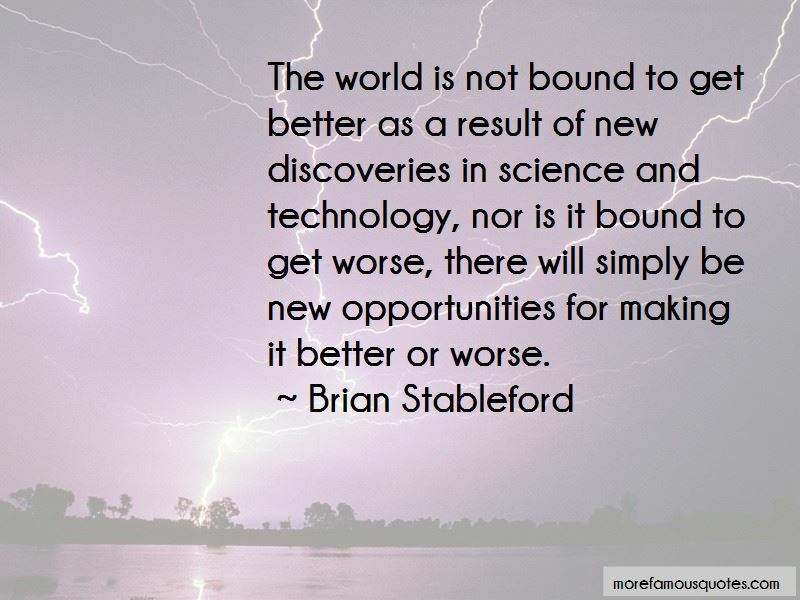 The world is not bound to get better as a result of new discoveries in science and technology, nor is it bound to get worse, there will simply be new opportunities for making it better or worse. There are infimal readers, readers who want to read the same book over and over, but will never read the same book twice. 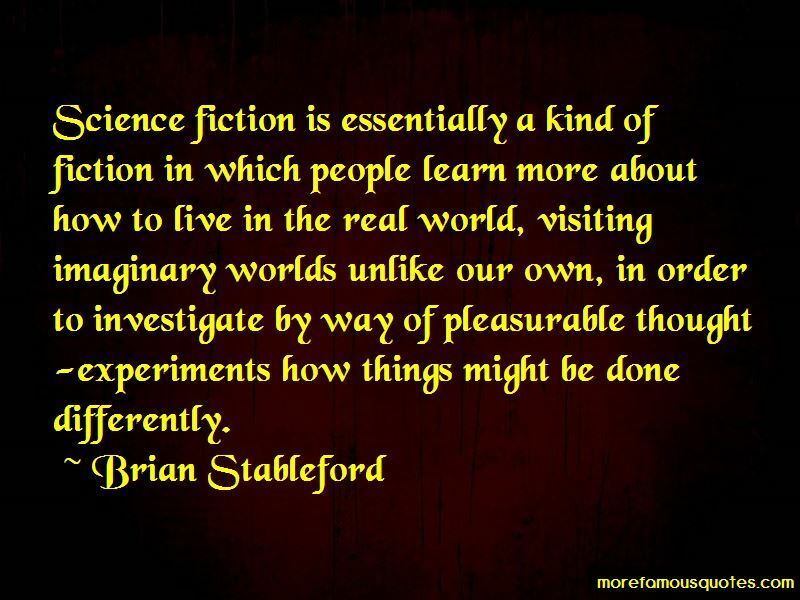 Science fiction is essentially a kind of fiction in which people learn more about how to live in the real world, visiting imaginary worlds unlike our own, in order to investigate by way of pleasurable thought-experiments how things might be done differently. 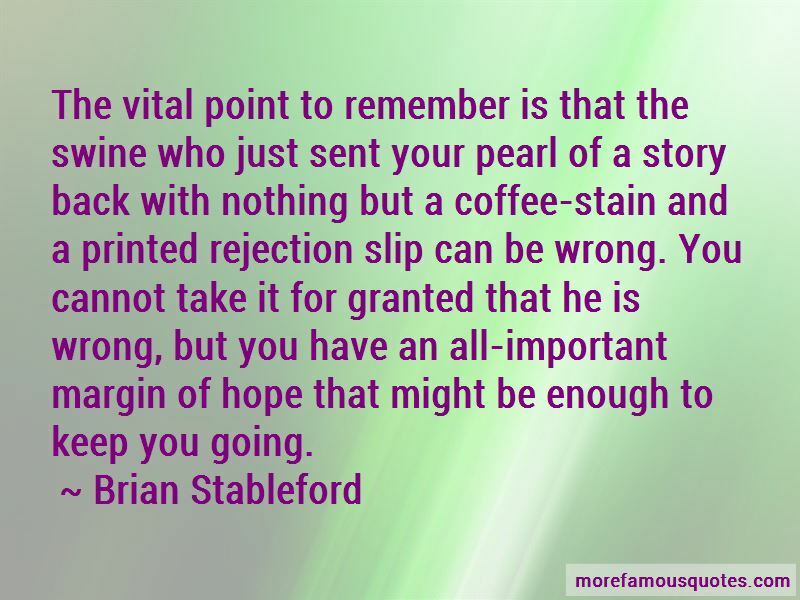 Want to see more pictures of Brian Stableford quotes? Click on image of Brian Stableford quotes to view full size.